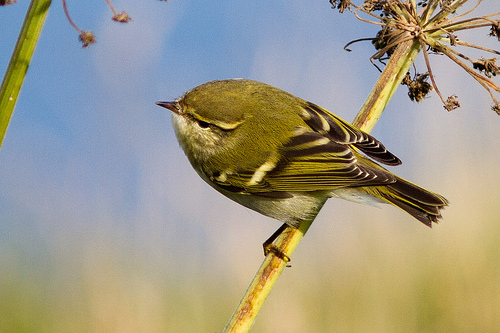 The Yellow-browed Warbler is a small green-yellow songbird that moves nervously up and down the trees. It is often found in the company of Goldcrests. 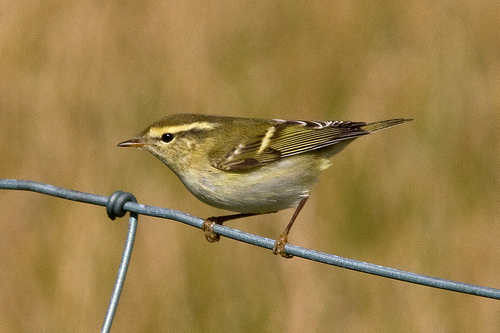 The Yellow-browed Warbler lacks the yellowish orange crown.